A pillow for the people: the SpiraFil™ insulated Cumulus Pillow is made with ultralight nylon for durability and an ergonomic design that supports the neck. Easy to inflate and adjust the firmness, this pillow comes with a removable, washable cover that is soft. Stuffs into carrying bag. 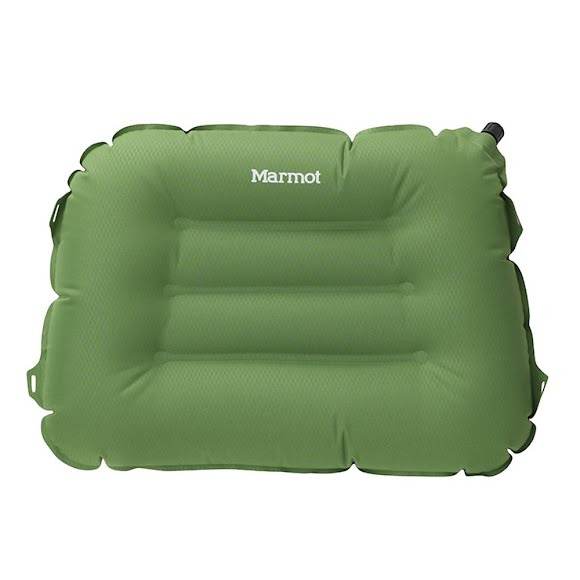 SpiraFil™ is Marmot&apos;s own unique synthetic insulation used in our value-priced line of sleeping bags. What is it? SpiraFil™ is a unique blend of large, spiral hollow fibers for loft, and small polyester fibers for warmth, softness and compressability. What are the benefits of this technology? SpiraFil™ provides an exceptional combination of warmth, softness, low weight, and compactibility. Thermal bonding ensures high tear strength and long-term durability.